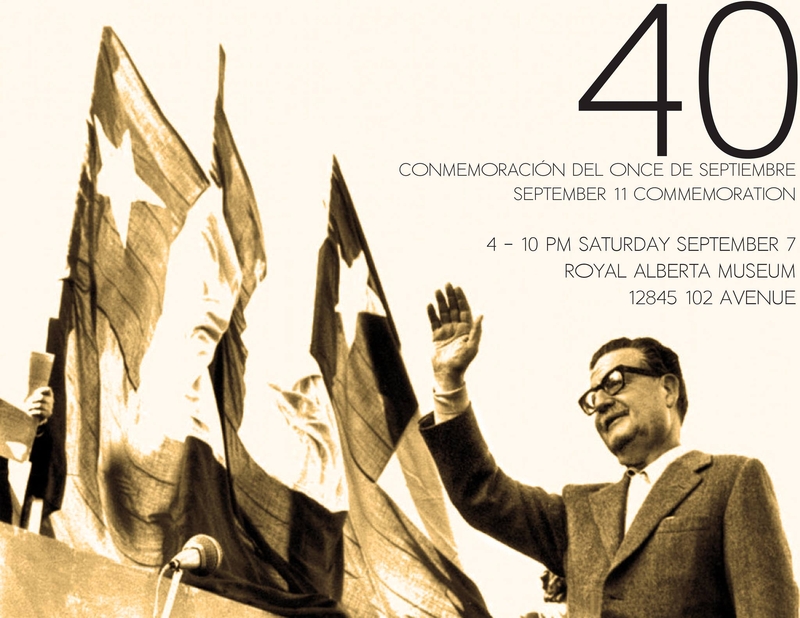 September 11, 2013 is the 40th anniversary of the 1973 military coup in Chile. During the U.S financed military coup and subsequent dictatorship of Augusto Pinochet thousands of Chileans were illegally detained, tortured, executed and disappeared. The coup led to an exodus of exiles and thousands of Chileans continued to leave Chile throughout the Pinochet dictatorship. Please join us on Saturday September 7 at 4 PM as we gather for an evening of culture and reflection to commemorate the victims of the coup. This is the first of three commemorative events in September. Grupo Folklorico Victor Jara, Daniel Villalobos, Sebastian Barrera, people’s poets, De Menor a Mayor. 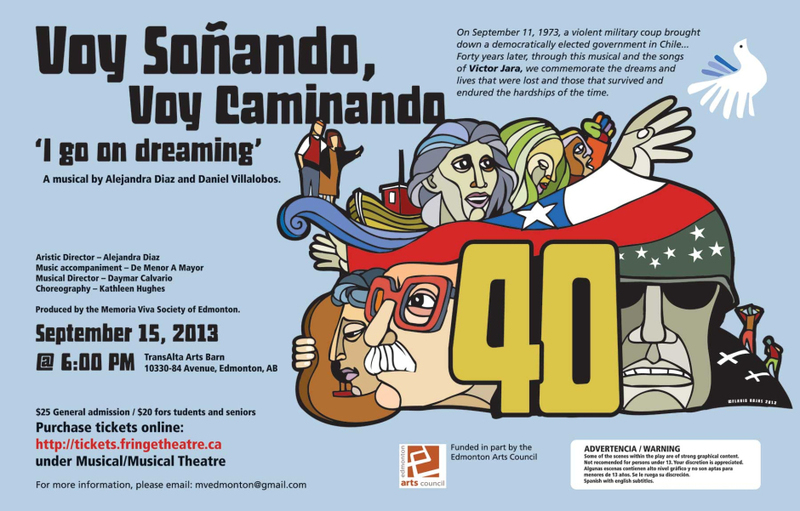 This event is being coordinated and financially supported by various individual and community groups including Memoria Viva Society of Edmonton, Chilean Canadian Cultural Society, La Sociedad latino Americana de Mujeres AMIGAS, Corporacion Memoria Chacabuco, and more. We would also like to acknowledge the generous support of the Edmonton Arts Council.